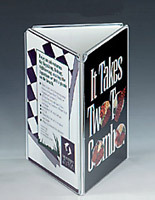 This table tent is a clear acrylic sign holder commonly used in restaurants and bars to advertise on tabletops. 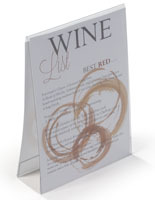 The 7" x 5" design is large enough to post a wine list, dessert menu or a large graphic to entice diners. 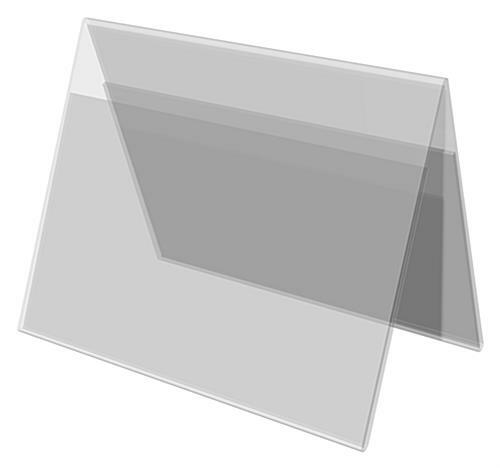 Each table tent is carefully manufactured from one solid piece of acrylic. 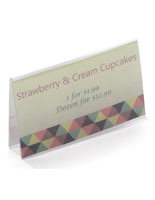 The fold-over style sign holder allows for fast updating. 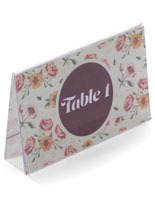 This table tent, menu card holder, features openings on each end that allows signage to slide in and out. 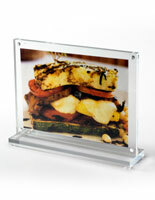 The two-sided frame allows users to advertise in both directions. 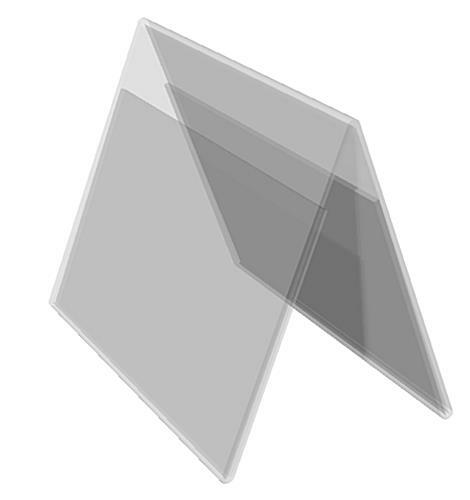 This table tent, also known as an acrylic frame, is like getting two units for the price of one. Place a different image in each panel, to maximize your advertising exposure. This table tent is used in hotels and resorts all around the world. 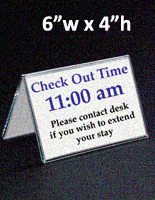 Check-out times and room service options are commonly posted within this tabletop sign holder in guest rooms. Place this table tent on a counter in a waiting room to post important messages regarding policies and procedures. 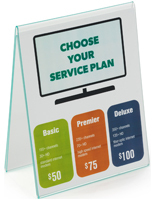 Keep patrons and visitors informed with the use of this sign holder. Personalize this table tent with a logo or company slogan. Email us at the address below for minimum order requirements and further details. 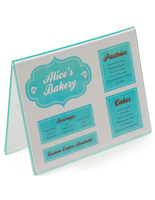 This table tent is an effective sign frame that will help to increase awareness of products and services throughout any business.